Dory tells us over and over that when we get lost and can't find our way in the oceans of life to, "Just keep swimming; just keep swimming." Why? Because eventually, we'll find our way. Every animal in the ocean needed another's help to survive in some form of fashion. From driving to directions, to tags to tails. I won't spill all the details of the film, but just know you'll walk away with a reformed perception of the "it takes a village or in this case an ocean" philosophy. Words Can Hurt. Pride Kills. 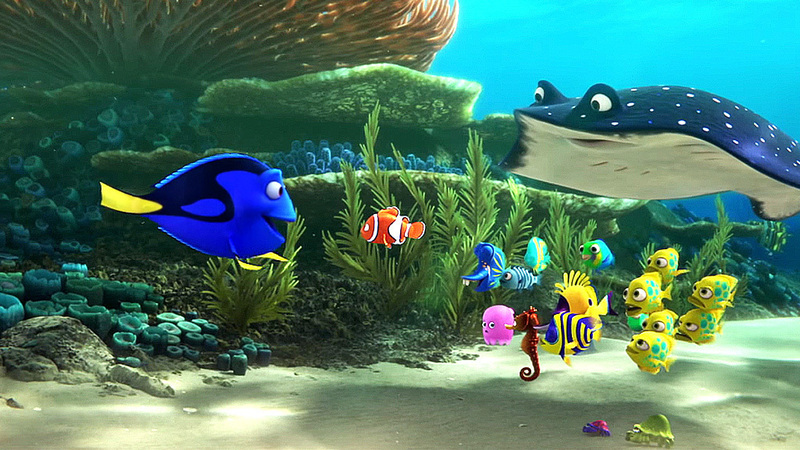 Marlin's impatience and oftentimes haughty temperament causes him to say words that sting like a ray. It's not until Nemo points it out to him that he realizes what he says can hurt others. Marlin also realizes pride can cause you to be unappreciative and negative to the ones you actually love. From a cantankerous octopus with seven tentacles, a Beluga whale who is losing his sonar power abilities, to a near-sighted whale shark, and a socially awkward seal to name a few, the ocean houses a slew of aquatic life with disabilities. And Dory teaches us how to see past the them and how to deal with those who are irrespective of those differences. By the film's end, Dory doesn't just teach us how to speak whale, she teaches us how to love and appreciate those around us despite their imperfections, because in the end, we're all in this together. There's several more lessons in the film, but I'll let you figure them out. What are you waiting for? 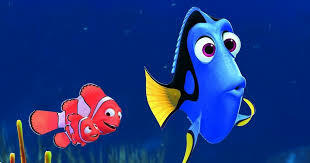 Go find, Dory because you just might find yourself. 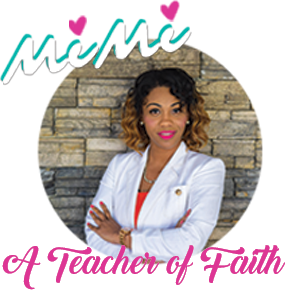 Love it Mimi, thank you for sharing these profound lessons. Love it Mimi, words of inspiration. Keep writing, keep teaching and I will keep learning from your lessons.